Here’s a short tip for you Indie writers this week. With a couple of non-fiction books in the pipeline I spent some time a while ago researching how to put bulleted lists in a Kindle book, but came up with the take home that they are a no-no. I know that use of any type of Word auto formatting in an eBook can cause havoc in the end result. It is possible to create a really good looking bulleted list in my paint software and import it as an image without anyone being the wiser, but it is extra work that I’ve just now discovered doesn’t need to be done. The secret is to avoid the auto formatting. 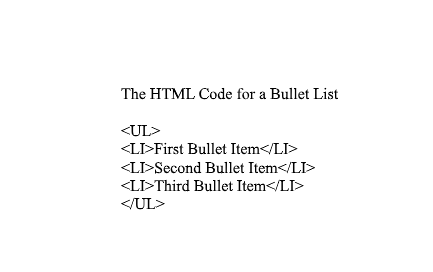 You could have at a bit of HTML coding if you’re so inclined, as per the example below, but I really am not so inclined right now, so I kept looking. Some people use the Styles menu effectively. I prefer a very clean manuscript for Kindle conversion though, with no hidden bits with the potential to put spanners in the works, so I kept looking. 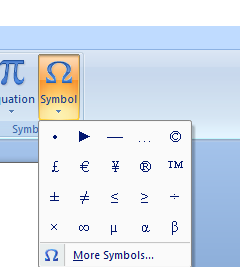 Kindle recognises quite a few of the symbols that you can use with your Insert > Symbol feature if you stick to a common font like Times New Roman – my go to font for Amazon, and one of the symbols to insert is a bullet. All you have to do is insert it before each sentence to be in the bulleted list as you type it out, and no auto formatting will be triggered. That’s not a lot of extra work at all. If going the whole Insert Symbol route before each point seems like a schlep, then just copy the first inserted bullet and paste it in as you go. That way there will be no hidden gremlins to mess up your fabulous book. Happy publishing fellow scribblers. Previous PostThursday’s ThoughtsNext Post#BookReview of WOLF by @ProfKellyOliver. You can play a bit with the number of the pixels of the margin-top until you get it to your liking. Jo Robinson of Lit World Interviews provides us kindly with a very helpful article about how to add a bullet list to the kindle book. Thank you Jo!